It’s never been easier to play music anywhere at any time you want, thanks to these music player apps for iOS devices. Anyone who has an Apple iPhone or iPad knows about the Music app that comes installed on every device. However, not everybody wants to stick with the obvious and some feel it’s not as user-friendly as it used to be. The good news is that there are plenty of third-party alternatives to download from the App Store that offers a great music playing experience. They also offer some different features and ways of doing things, and it’s always good to try something new right! Whatever your taste in music, from country to heavy metal, classical to pop, there is a wealth of music player apps available. As always with mobile apps though, some of these are much better than others, and it can be quite a task weeding out the bad ones from the good ones. That’s why we’ve come to your assistance, as we’ve been looking at numerous iOS music player apps to give you our choice of the 10 best music player apps for iOS (iPhone/iPad). At least one of the apps below is likely to be just what you’ve been looking for when it comes to playing music on your iOS device, and you could end up using more than one as they have varying strong points and main features. There are a few paid apps in this selection but the majority are free. Some include in-app purchases to remove the ads or for additional features or subscriptions. Do check these music player apps out and you will soon be able to have music at your fingertips, anywhere and at any time you want. We had to start with Spotify, as this is our go-to music player app and comes with a 4.8/5-star user rating on the App Store. The well-known music streaming app offers an excellent free music player for iOS and has a massive variety of artists and songs. The app has an abundance of features and it’s easy to search for tracks, albums or artists and to create playlists. It also features shuffle modes, recommendations to suit your tastes or readymade playlists. It’s free to download and play music although the free version does include ads. If you want to remove these you can opt to upgrade to the premium version of Spotify using in-app purchases. This removes ads and adds further features such as improved sound quality and the ability to listen offline. Spotify is a real all-rounder when it comes to playing music on your iPhone or iPad so do give it a whirl. Cesium works with your iTunes library and requires access to the Apple Music app. It has a customizable UI including Night Mode, and it’s a stylish and polished app with intuitive controls. There are powerful tools allowing you to shuffle, create, and edit to your heart’s content, and detailed information about songs. Better still, there are no ads and no locked features (the in-app purchases are purely for tips! ), and the app also includes a handy widget. The general consensus about Cesius is that it offers a similar experience to the early days of Apple’s proprietary music app when it was at its most popular. YouTube Music from Google has a vast catalog of music that you can play and watch. Whether you want to check out new artists, old favorites, or access an array of musical genres, you can do so with this app. You can view live recordings or official music videos and concerts, and the app features playlists, remixes, and personalized stations. If you want an ad-free experience you can opt to upgrade to YouTube Red. With this premium version, you can continue playing music even when the display of your device is locked, or enjoy music offline. You can access YouTube Red free for one month, and can then purchase a subscription through in-app purchases for $12.99 per month. Stezza does not contain all the bells and whistles of other iOS music player apps, but if you want something quick, simple and accessible it’s a pretty good choice. It’s a user-friendly app that interacts with your iTunes library, and features include custom color themes, video playback, and adaptive album themes. It’s also compatible with Pioneer AppRadio, which is worth bearing in mind for some readers. Pandora has a great reputation and it’s easy to see why! One of the highlights is that the more you listen the more your music experience is personalized, as it develops according to your tastes. You can create stations by artist, genre, or your favorite songs, or if you want something that especially suits your mood you can browse through recommended stations. There are additional features you can access by upgrading through in-app purchases to Pandora Premium or Pandora Plus. Pandora Premium ($4.99 monthly) removes ads and gets you on-demand music, the creation of playlists, improved audio, offline listening and further features. Alternatively, Pandora Plus ($12.99 monthly) offers personalized radio and unlimited stations, offline listening of up to 4 stations, and more. SoundHound is a hugely popular app that has been downloaded more than 300 million times. It offers a voice-controlled music player but is somewhat unique, as it will also help you to identify and discover new music. It’s easy to find out what music is playing wherever you are by simply opening SoundHound and letting your device listen for just a bit, at which point the app will tell you what you’re hearing. The “OK Hound” feature means you can navigate the app and play your songs, all by simply saying those magic words and telling it what you want. The app can be connected to Spotify or Apple Music accounts while the Live Lyrics features shows lyrics, so there really is a lot to recommend about this app. If you’re bothered by the ads you can turn them off with an in-app purchase. This app takes a different approach as it acts as a social music network. The built-in music player enables you to search and play songs, and you can connect with friends to play whatever they’re listening to, create mutual playlists, and send messages. With the Party mode your friends can even play their music through your device, and the app also features Spotify, Deezer, and Apple Music integration. With the 8tracks music player app you can discover fresh playlists and share yours with others. It’s an ideal way of finding new mixtapes, and with the help of other music fans there are more than 3 million to choose from, download, and play. There are ads in the free version but you can get rid of those by subscribing to the Plus version. This also adds extra features such as animated gifs for your playlists, badges, and non-interruption between playlists. The subscriptions range from $4.99 to $39.99 depending on type and duration. iHeartRadio is a feature-packed music app that allows you to freely stream music, live radio stations, and podcasts. It has a huge amount to recommend it, such as access to AM and FM radio stations across the world and millions of songs from all genres. 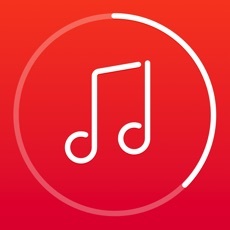 The app also offers your own personalized music station with all your favorite tunes. In-app purchases can be used to upgrade to remove ads, and further features enable you to listen to music offline, use unlimited skips and much more. iHeartRadio Plus will set you back $5.99 while iHeartRadio All Access is priced at $12.99. This one focuses at using gestures instead of button controls for playing your music so it’s very useful in many circumstances. It’s compatible with Apple Music and the gesture controls make it easy to switch tracks by swiping from left to right. Additionally, you can tap for play/pause or swipe up to add songs to your Favorites. The app is free to download and use, although you can also use in-app purchases for curated radio stations from around the world with a monthly subscription of $2.99. Music can be many things for different people. It can lift your mood and make you feel happy, comfort you when you’re down, or allow you to chill and escape with your own thoughts when life is too busy. 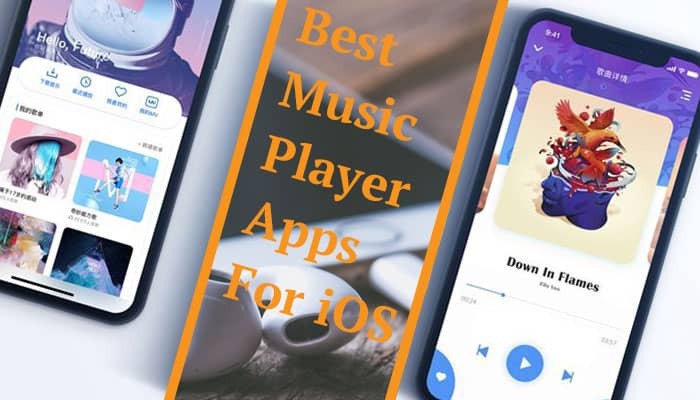 In fact, a world without music is unimaginable to many of us and thanks to these 10 best music player apps for iOS (iPhone/iPad) you can always access music whenever you want to. These are our top picks but we’re aware that there are many more music player apps available for iPhone and iPad. Therefore if you want to mention one that you think is particularly good that we missed, drop us a comment to share your thoughts.